Mr. Greg Mahon called the November 14, 2018 Regular Meeting of the Recreation and Parks Board to order at 7:04 pm. Mr. DUNCANSON moved to approve the minutes from the October 24, 2018 meeting. Mr. PELLES seconded the motion. Motion carried 4-0. Mr. Mahon stated that Allendale and Creekwood are our parks of the month. No one from the public is present for comment and our Allendale representative is unable to be here. Mrs. Hayden reported that the new fencing that was proposed on the recommendation list is going to be installed by Paramount Fencing. They have until December 15th to finish the project. Public Works has removed the old fencing. Crews are working on leaf collection in Allendale and performing regular park maintenance there as well as in other parks. No further information has been received regarding the issue of standing water in Creekwood Park. Commissioner Holtzman is absent so there is no Liaison report. Leaf collection, wood chipping, and tree trimming are ongoing in all parks. Restrooms and water fountains have been closed for the season and will reopen in April. Requests for athletic fields for 2019 will go out to the leagues in mid-December. These are due back by February 1, 2019. The New Year’s Eve Committee is once again holding their annual New Year’s Eve party at the Barn at LACP. A flyer was also passed out at the meeting. Wendy stated this is a fun event with approximately 75 – 100 people in attendance. The event runs from 8 pm until midnight with entertainment and light refreshments provided. A “Little Breechie” drop will take place at 10 pm and the “Big Breeches” drop will take place at midnight. Dillsburg soccer tournament event at LACP: Township Manager, Tom Vernau, spoke to the Board of Commissioners regarding recent parking issues with the Dillsburg soccer tournament. The Commissioners agreed to the suggestion of renting all facilities to the soccer tournament to make more parking spaces available. 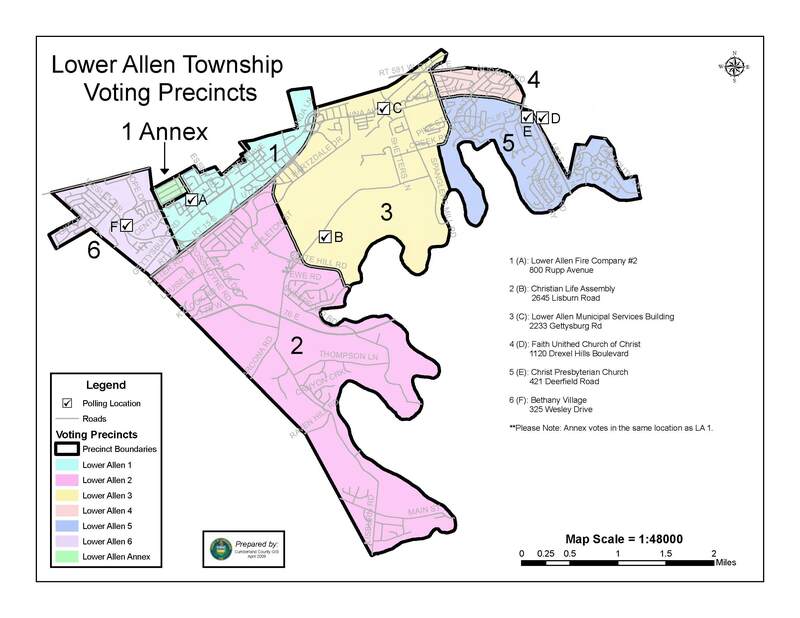 They will also be required to hire Lower Allen Township CSO’s to assist with parking. This will cost the Dillsburg organization approximately $3200 to $3500 for the two day event. The next step will be talking to organizers of the Dillsburg soccer tournament. Another alternative would be to decrease the number of teams participating at this location. Electrical service interruption at Beacon Hill: no updates have been received. Gardner’s Gathering: Ms. Parry spoke about her business contact, with the County Extension Office, having retired, so she was unable to ask her about conducting a composting workshop. She has e-mailed Lori Glace, at the County Conservation District, regarding rain barrels but she has not yet received a reply. She also e-mailed the County Cooperative Extension Master Gardner. If the rain barrel project is a possibility in the future, we may be able to get Assistant Township Manager Erin Trone to help us get grant money. PA American Water is also a possibility for financial support. Mrs. Hayden is going to contact Erin, and copy Ms. Parry. This event is always held the last Saturday in April which will be April 27, 2019. Ms. Parry will continue to plan the event for the January meeting. Parry will also work on a newsletter article for the spring edition. This will be due in March. The meeting schedule for 2019 was presented. Meetings follow the same schedule as in past years, with park tours beginning in May. In addition to the meeting schedule, the Easter Egg Hunt will be held April 13th and the Gardner’s Gathering on April 27th. Mrs. Hayden will send out the completed event schedule in January. Board members with expiring terms: Both Mr. Pelles and Mr. Kaiser have agreed to renew their terms of service on the Parks and Recreation Board. Mr. Mahon stated that officer positions will be reorganized in January. He is willing to stay on as Chairman if the Board agrees. Township collection of Toys for Tots has begun. There is a box located in Main Street of the Township Building for donations. 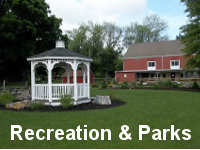 The Regular Meeting of the Recreation and Parks Board adjourned at 7:30 pm. Next meeting is Wednesday, January 23, 2019, at 7:00 pm. Copyright 2014 Lower Allen Township. This site is best viewed in Google Chrome.